Andrew and his wife Sybille farm Andrew's family farm up in Northumberland. Taking the farm organic and researching exactly what strains of wheat, rye, and spelt he wanted to grow on it was a multi year process for Andrew, one that took him all over the world and back to university. Having succeeded, against all odds and received farming wisdom, to grow they type of grains he wanted, Andrew then faced the challenge of getting his grain milled and to market and could not find a miller that suited his needs. So, he built a mill! 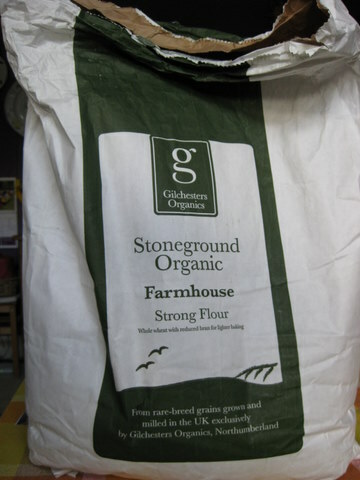 Gilchester's flours are all organic and stone ground - and make marvellous bread. Click on the video link to hear Andrew talk about the loss of bread cultures (in more ways than one) in the UK - and it's gradual resurgence.